The new iStick Kiya is one of Eleaf's starter kit. Measuring only 35.5 x 25.8 x 94.5 mm, it is paired with a 2 ml GS Juni Tank. The main body is also featuring a large 1.45-inch color screen with new bright interface and real-time clock, if you like, it can easily be used as a digital clock or a dial clock. Equipped with 1600mAh built-in battery, the iStick Kiya Mod has 50 watts maximum output. And coming with 2A charging current for efficient charging, you can quickly charge as needed. In addition to the more traditional operating modes, such as power and bypass mode, users also enjoy full TCR mode. Despite its tiny size, the iStick Kiya mod is compatible with atomizers of up to 25 mm without overhang. Eleaf has paired it with their newly designed, GS Juni Tank atomizer that includes a refined airflow system and uses the GS coil family. Non-builders and vape beginners will benefit from these pre-made coils optimized for flavor and rated for use at powers of up to 25 watts. The iStick Kiya Kit is a portable plug-and-play device that is easily carry when on the go. 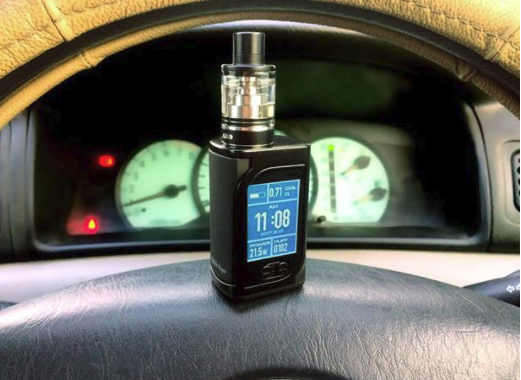 And with a simple user interface and minimalist controls, it is a great choice for vapers who looking for budget-friendly and powerful ecig alternatives.